Run for the hills! It has risen from the grave! Well, not really! Ok, I know it has been a while since my last Mr. RC's Bar Cart, and lame Halloween jokes aside, let's talk about something that is not lame, like this beautiful beast you see here (and no, as much as the Mrs. would disagree, I am not referring to myself)! Allow me to introduce, the Cloudy Orchard. 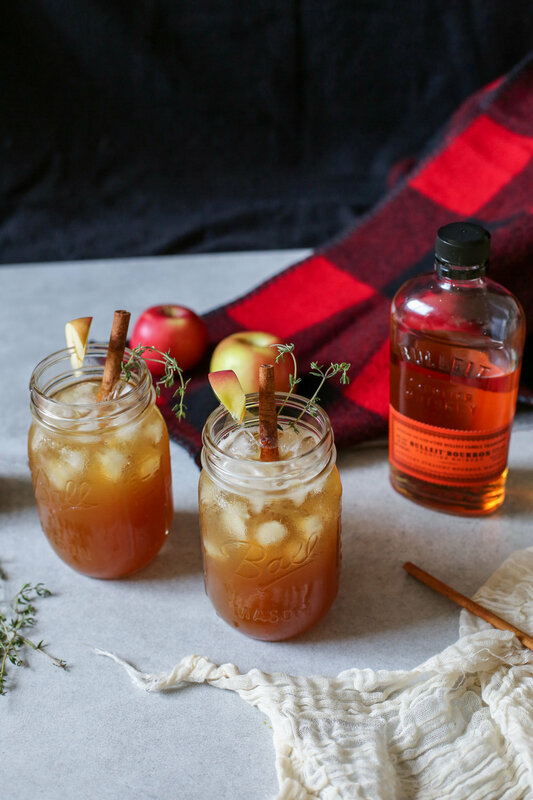 This cocktail will give you all the #fallfeels with its' crisp sweetness from apple cider and maple syrup, to the bite and warmth of the bourbon mixed in. 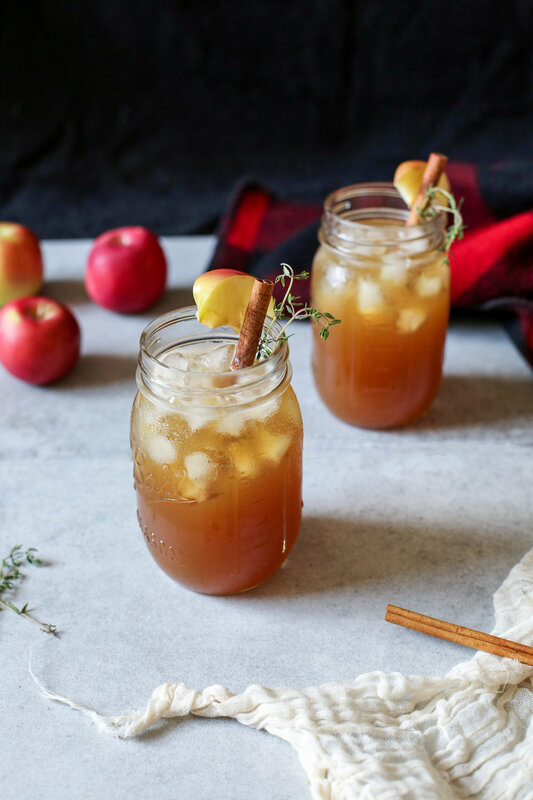 Combined with the subtle hints of fresh thyme, cinnamon and smoke (see here for inspiration), your taste buds will transplant you to memories of picking fresh apples at an orchard by day, then relaxing by a nice fire at night! Bonus: this drink can be served chilled (as seen in the photos above) or hot. So, even though this isn't a spooky, sugar-filled drink like Halloweens past, this cocktail will transition whether you decide to make it for your Monster Mash on All Hallows' eve or a crisp fall day at home. Cheers! 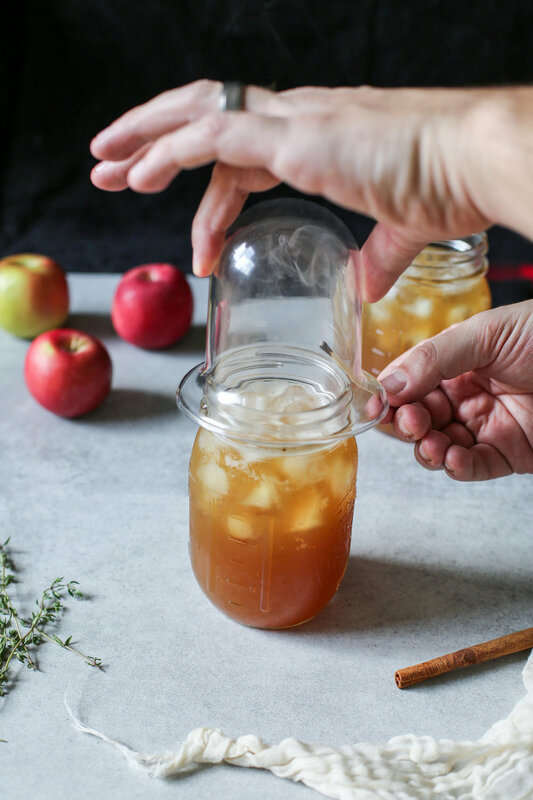 In a shaker, add the maple syrup, bourbon, lemon juice and apple cider. Shake and strain into a mason jar or tumbler glass and fill with ice. 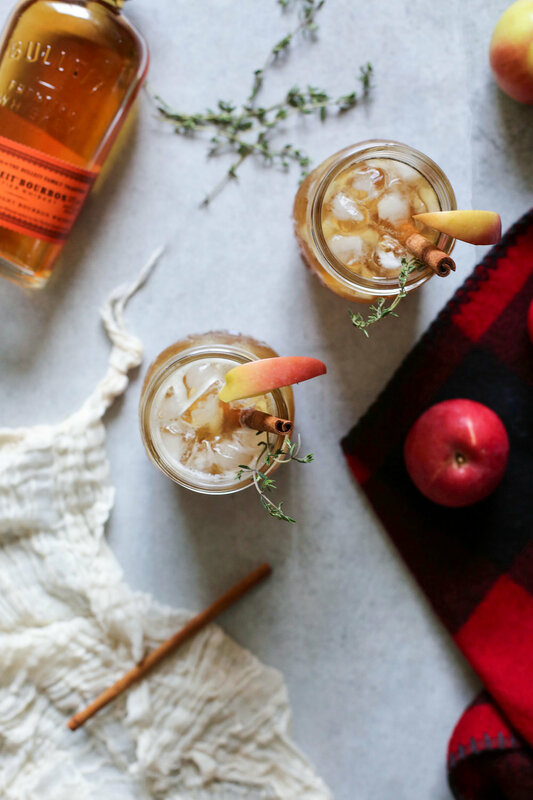 Garnish with a slice of apple, a cinnamon stick and a sprig or two of fresh thyme. For smoke infusion, light a match and blow out under a bell glass, or anything with a chamber to collect the smoke, and immediate place and cover over the drink. The smoke will infuse into the cocktail. For Optional Sugar Rim: On a small plate mix together 1 tsp brown sugar, 1 tsp brown sugar, 1/8 tsp allspice. Rub a slice of lemon around the rim of the glass and then dip the rim in the sugar mixture prior to pouring in the drink. Bonus Tip: If you decide you want this to be a hot drink, combine all the ingredients into a medium saucepan and simmer until hot. Garnish with a cinnamon stick.